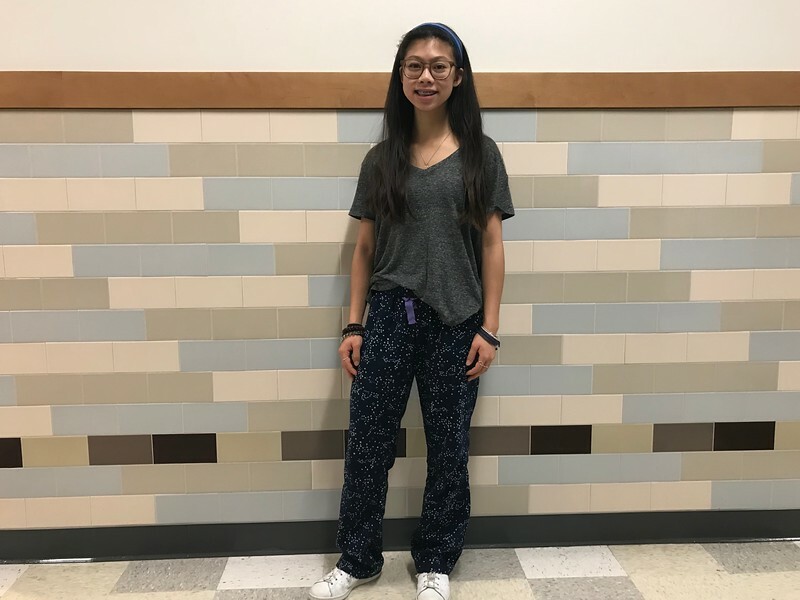 Freshman Emily Chau dresses in pajamas from American Eagle for the school wide psych with Adidas sneakers. “Don’t try to go with something because it’s a trend. Start with something you’re comfortable with, and then from there you can kind of play around with it,” Chau said. 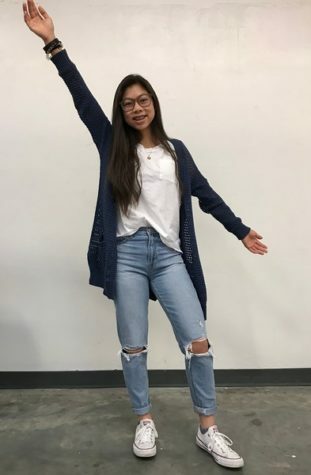 Chau dresses in a t-shirt, cardigan and jeans from American Eagle and Converse sneakers.